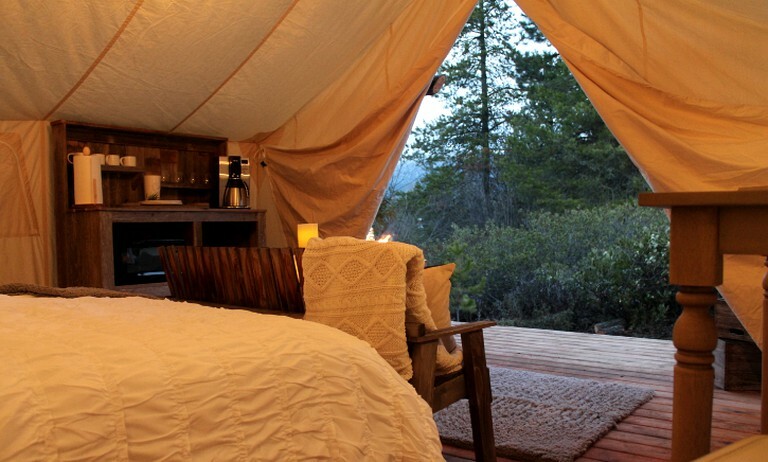 This spectacular safari tent located close to Lake Wenatchee, Washington, is camping like it's never been seen before. 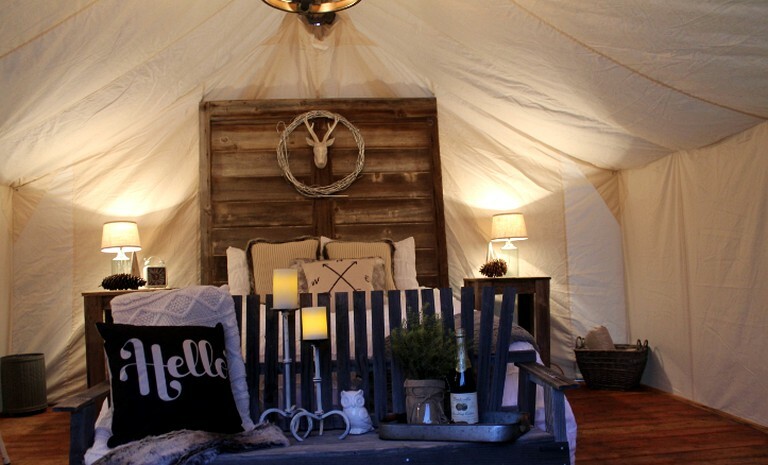 The tent provides the perfect blend of luxury and rustic accents, with all of the essential amenities and then some, so guests feel like they are in a home away from home. 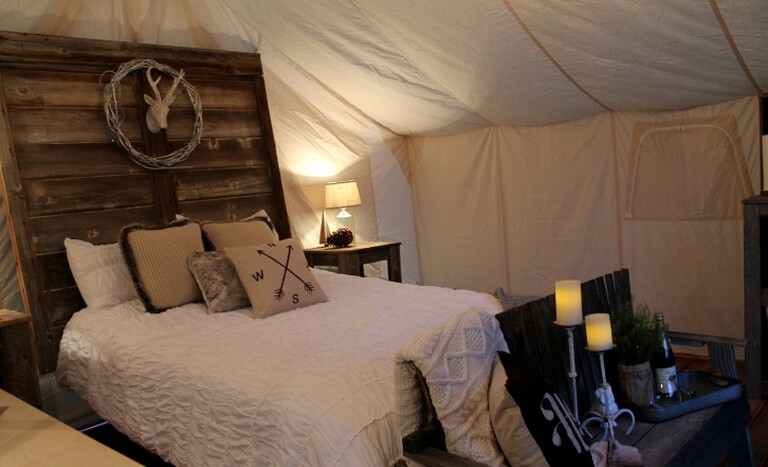 The tent can accommodate up to four guests and makes for the ultimate secluded weekend getaway. 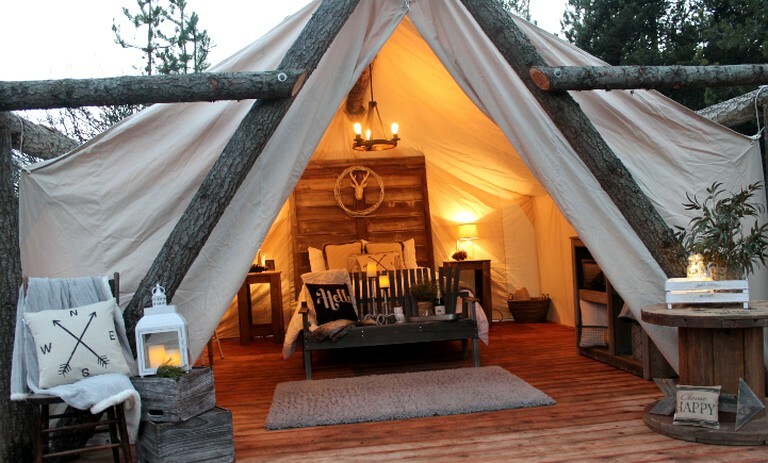 The tent consists of a canvas structure and is built on a wooden deck offering a private porch overlooking the towering cedar trees and the meandering creek. 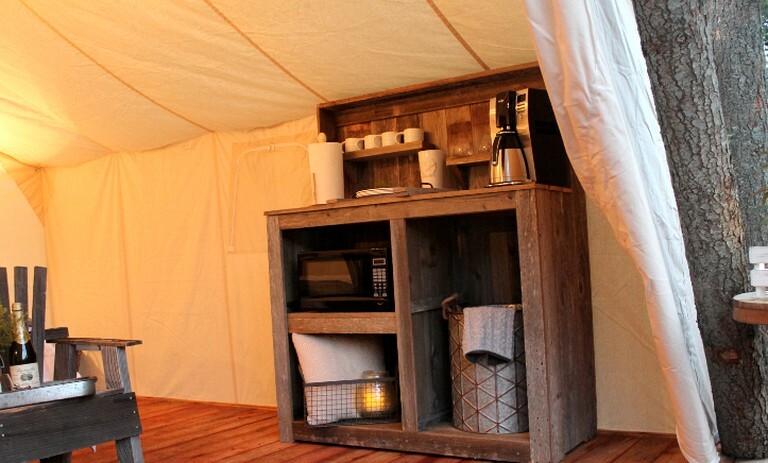 If guests feel like a home cooked meal they can prepare themselves some food in the kitchenette, which comes equipped with a mini-refrigerator, a coffee maker, a microwave, as well as an outdoor gas grill with a side range cooking area. Guests can enjoy a cozy vacation with an electric fireplace and luxurious bed linens.Full communal bathroom and shower facilities on site. 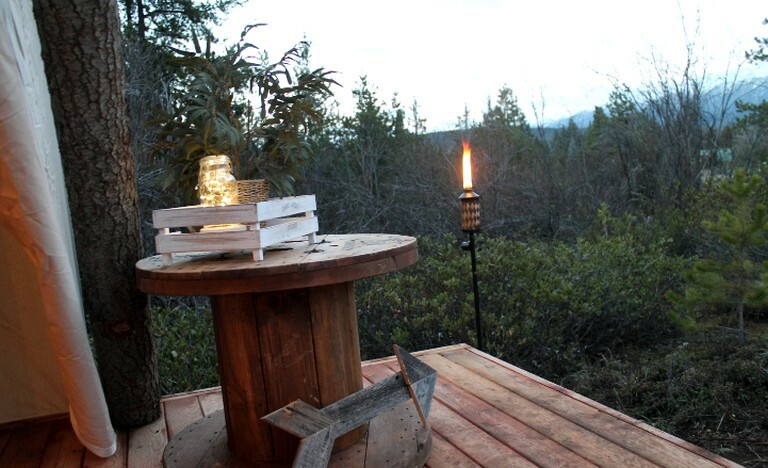 The area boasts an array of outdoor activities, perfect for the nature lovers out there. There are plenty of trails to hike and paths to explore. 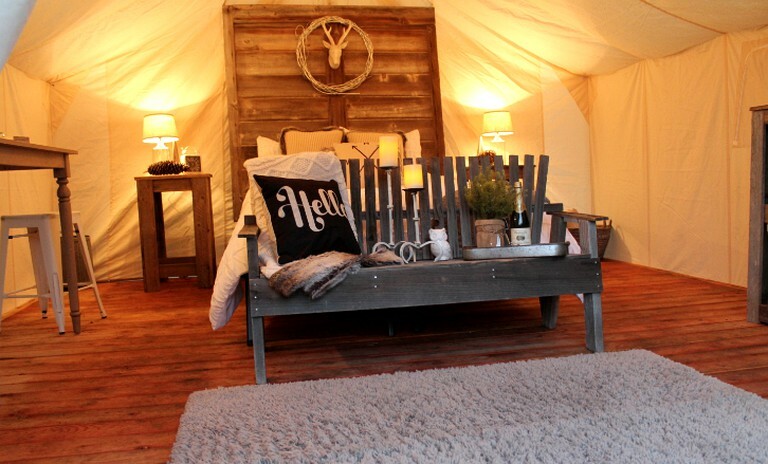 Glampers can get lost weaving their way through the vineyards in the warm sun or for those colder months, this place is perfect for a reindeer-led sleigh ride! For a birdwatcher fanatics, Waterfront Park, just outside of Leavenworth is an absolute haven with daily sightings of eagles and osprey. The spectacular Lake Wenatchee State Park is just minutes from the property and is a haven for the intrepid explorer. Watersports enthusiasts can try out boating, windsurfing, kayaking, standup paddleboarding, waterskiing, and kiteboarding along the five-mile long pristine lake. 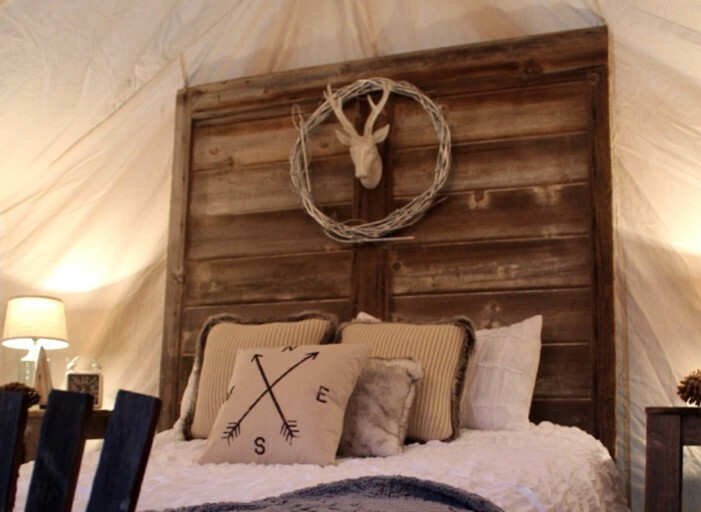 If guests prefer to stay dry, they can explore the eight miles of hiking trails, the seven miles of biking trails, and the five miles of scenic equestrian trails. If guests are visiting during ski season, they can visit the park for excellent cross-country skiing, as well as snowmobiling, ice climbing, and dog sledding. Guests can also hit the slopes at the Stevens Pass Mountain Resort, located just 10 minutes away.